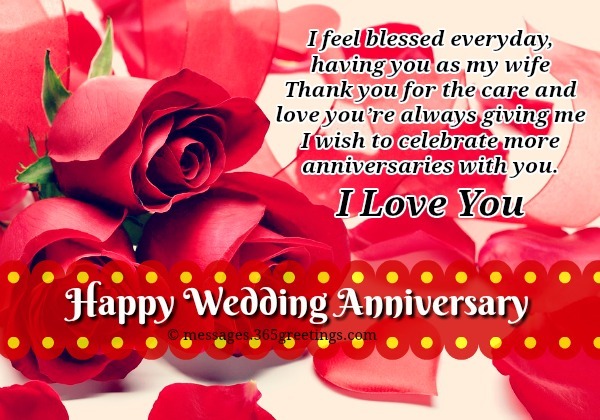 If you are searching for the best wedding anniversary messages for wife, you’re at the right place. 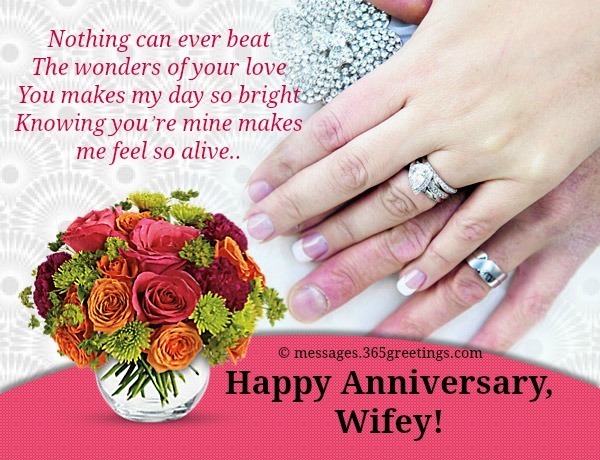 Here, we have written some of the sweetest anniversary wishes for your wife that you can write in a card or partner with your romantic anniversary gift. 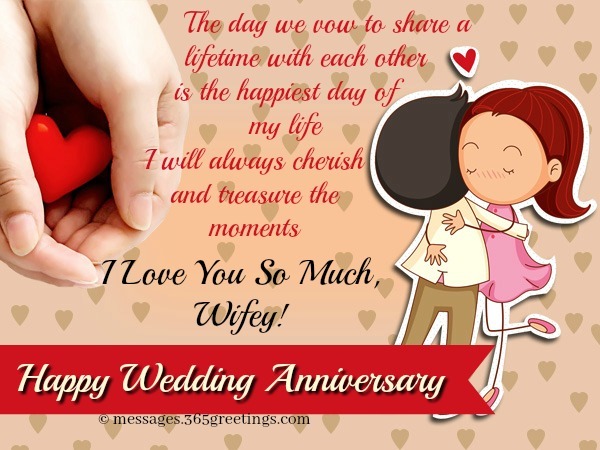 Anniversary is one of the most perfect moments to express your appreciation and love to the woman who chose you to spend her life with – your wife. Make her feel special and loved on the day of your union. 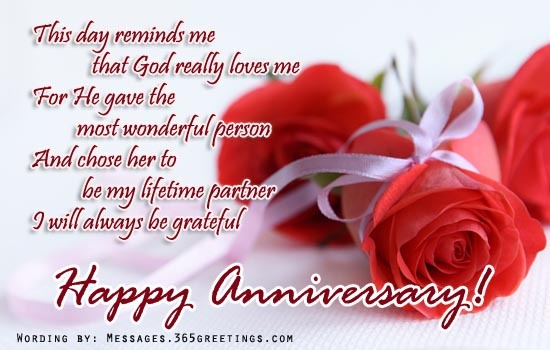 For those who are not good with words, here are some samples of sweet anniversary messages for your wife. 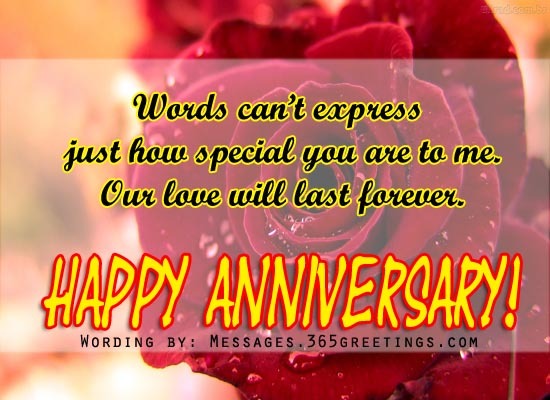 Sweep her off her feet by uttering the most romantic wedding anniversary messages. 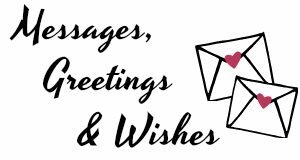 You can include these samples of messages on your anniversary card or gift note. Don’t know what to write in your wife’s wedding anniversary card? 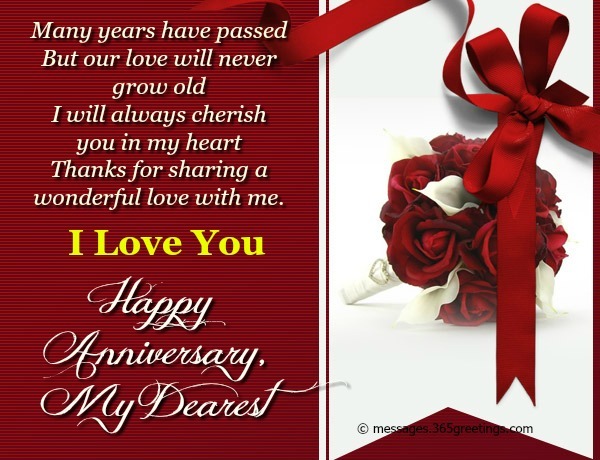 No worries, we have a few samples of anniversary card messages for wife that you can use. Just pick the best one from samples below. No one makes me as happy as you ever year! and celebrating all my good qualities. It has been an honor to be your husband for all these years. Having you in my life has made me a better person! 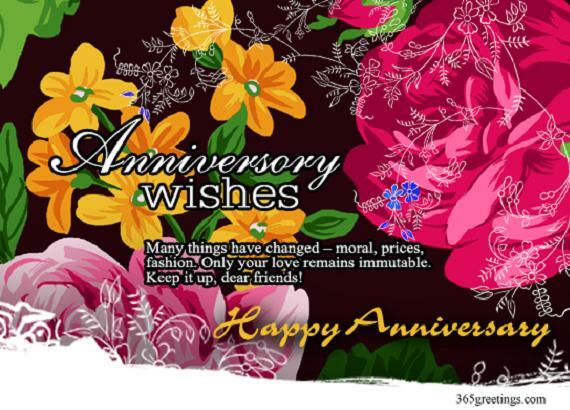 Greet your wife a Happy wedding anniversary as you celebrate the day when the two of you became one. 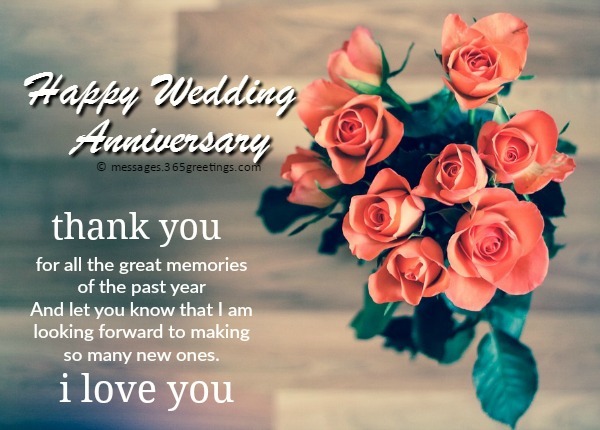 Get inspired from these sweet wife wedding anniversary messages and wordings. 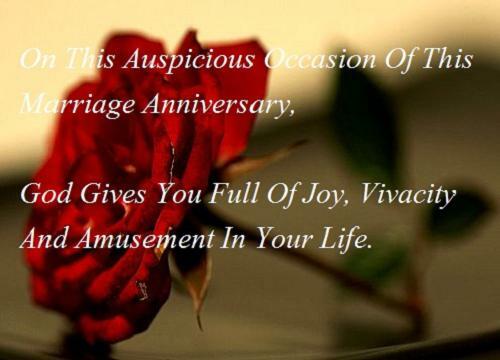 You can also use quotes as your anniversary wishes for your wife. 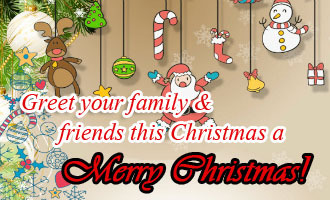 But, it would be ideal if you will also include your own words to it to make the greetings more personal. Make sure that the gift is something your wife can use and enjoy. Consider giving her a personalized wedding anniversary gift. Be creative and think out of the box. Don’t just settle for traditional anniversary gifts. Make it memorable and something to treasure. You can’t just go for any materialistic gifts. You can make it sentimental, something you haven’t given or done for her before. 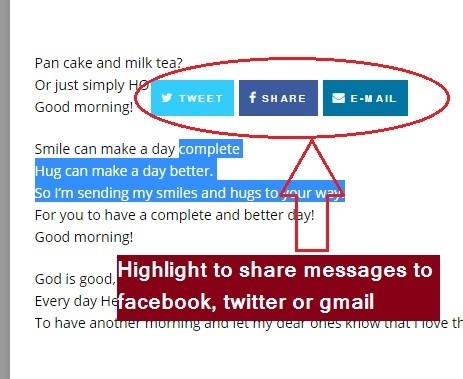 By telling her how much you appreciate her will make the day of your union extra special. It’s good to remind her how grateful and thankful you are having her as your wife. So, don’t be shy. Express your feelings and thoughts. 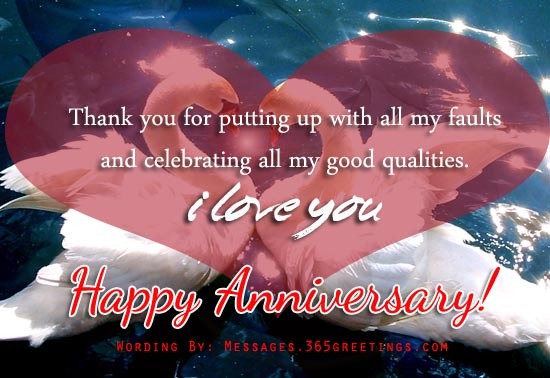 With the help of these selected wife anniversary messages and wording, you can surely win her heart again.